NaMo TV is "not a Hindi news service" but a special service via internet that does not need a government licence, DTH service provider Tata Sky clarified on Thursday after its tweet intensified the debate over the channel exclusively featuring Prime Minister Narendra Modi's speeches and pro-BJP content in election season. "NaMo TV is not a Hindi News service. If someone in the frontline at Tata Sky has tweeted or said that it is a news service, it is a mistake," Harit Nagpal, the CEO of Tata Sky, told NDTV. He said NaMo TV "does not fall into any genre" and the feed is "coming from the BJP via Internet". "Special services do not need a license," he added. The channel was quietly launched on March 31 (Sunday), and has been promoted by the BJP as well as related accounts. 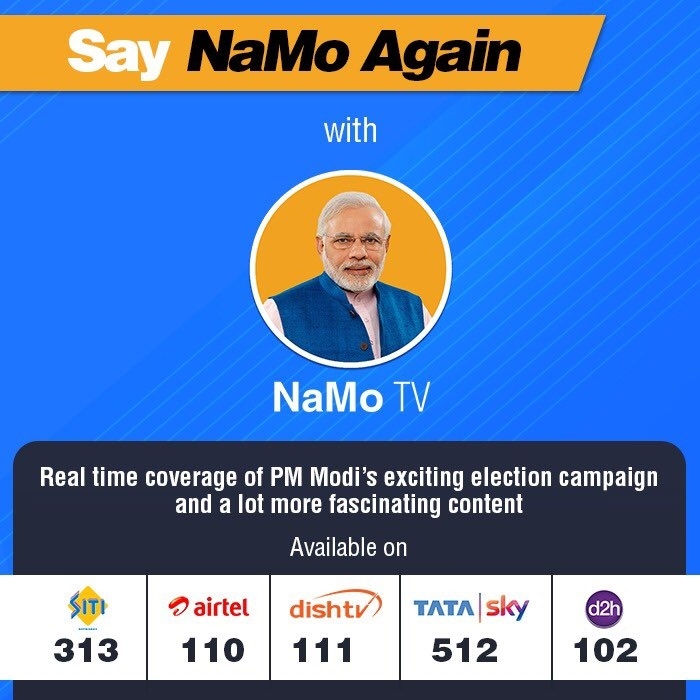 Tata Sky had earlier tweeted that NaMo TV is a "Hindi news service which provides the latest breaking news on national politics".